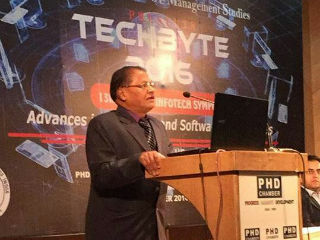 New Delhi: Jagan Institute of Management Studies (JIMS), Rohini Sector-5 organized the 13th Annual IT symposium “TECHBYTE 2016” on 22nd October 2016, Saturday at PHD Chamber of Commerce & Industry. 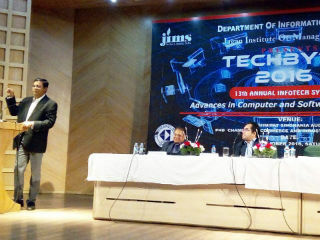 Through this symposium, JIMS institute provided a platform for industry professionals to discuss current trends in IT industry, problems and challenges, and current technology scenario with budding minds of MCA Department. 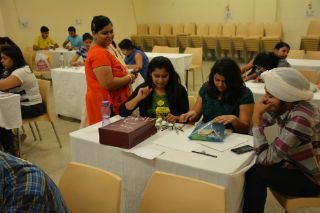 More than 200 students and academicians attended the symposium. 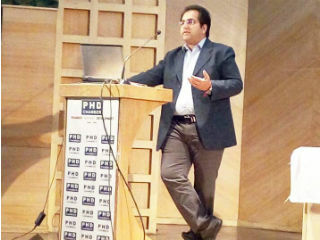 Guest of Honour Gaurav Karwal, Technical Delivery Manager, Accolite S/w Pvt. 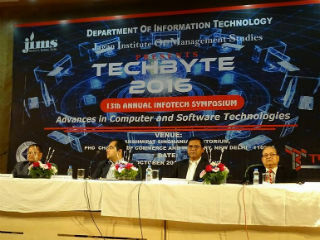 Ltd. and Chief Guest Joydeep Chakraborty, Chief strategic officer (Technology), Swastik Infotech graced the occasion. Among other eminent guests were Auyon Bhattacharya, Project Manager- HCL Technologies, Rajni Raswant, S/w Programmer – Classic informatics Pvt. Ltd, Rahul Darad, S/w engineer -Wipro Ltd, and more. 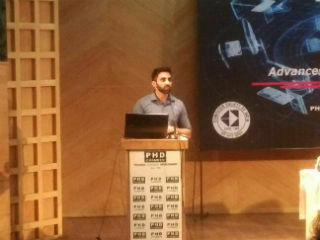 Gaurav Karwal talked about the “Internet of Things” sharing his experience; he emphasized on the need of self-awareness of students like that of the devices that we use. Highlighted devices and protocols like RFID ZigBee, Wi-Fi, Wave Technologies, Ingestible Sensors, Smartlocks, Smart Clothing etc. 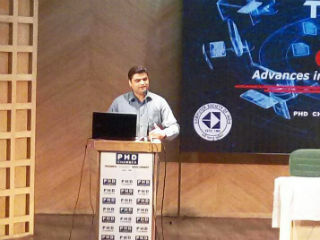 Chief Strategy Officer at SWASTIK INFOTECH Joydeep Chakraborty talked on career growth and said that the job opportunity is challenged by the game of competition in market so one has to become one man army. 86% of startups don’t see the light of the day that asks for a discipline of entrepreneur practicing. This entire day symposium was divided in three sessions: inaugural session followed by two technical sessions. First technical session was initiated by Mr Auyon Bhattacharya, project manager at HCL, and was followed by Mr Mayank Aggarwal (System Analyst at Oracle) and Mr Ravi Alang from To The New. 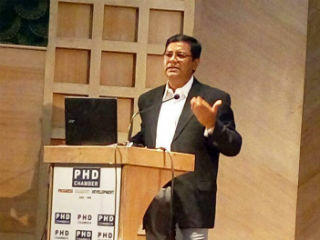 Session was also addressed by Dr. J K Goyal, Director JIMS, and Dr V B Aggarwal, Dean-Infotech. Both learned professors discussed the growth path of Computer Science and its implications on modern living. Session was dedicated to Cloud, Enterprise solutions and App Streaming and was highly interactive where students enquired about these technologies and their implementation. Topics like Digital transformation and Virtualization were highly appreciated. Overall this symposium was a big success in taking forward the knowledge journey of students. Students of JIMS got this golden opportunity to hear it from highly professional and successful speakers motivating and guiding them about the proven technologies.